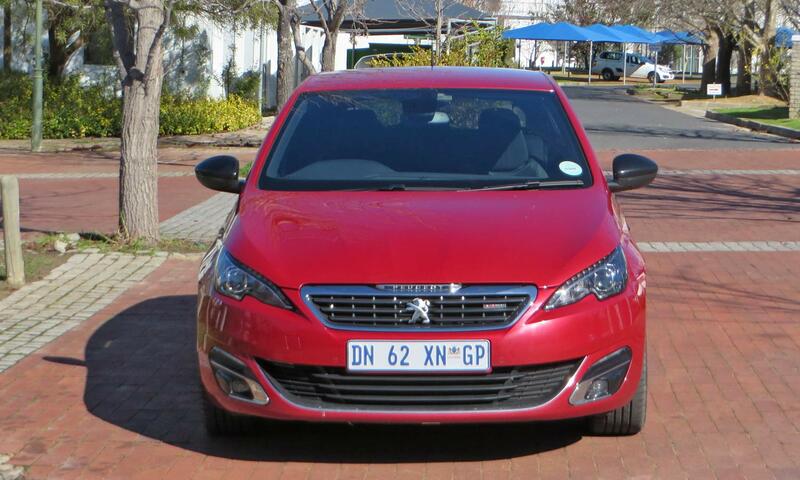 Langhams, Johannesburg – The South African Guild of Motoring Journalists (SAGMJ) has announced the finalist vehicle ranges for the 2016 WesBank / SAGMJ Car of the Year (COTY) competition. Announced during an interactive reveal event at Langhams Lifestyle Estate in Johannesburg. 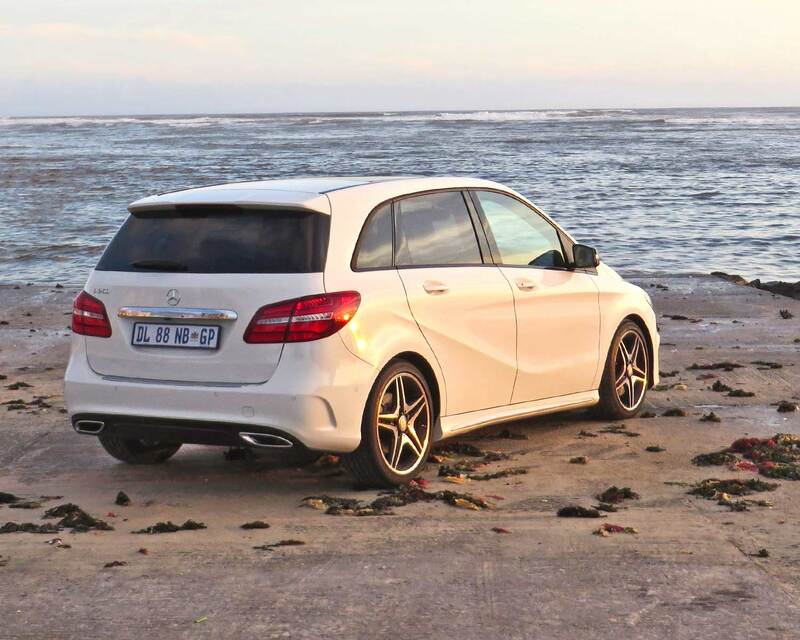 Hosted by WesBank, the competition’s headline sponsor, and the South African Guild of Motoring Journalists (SAGMJ), the finalist reveal follows a vote cast by a 26-member Jury, elected by their peers, of an original list of 45 eligible vehicle ranges. The competition now moves into high gear as preparations are made for two days of stringent evaluations at the beginning of February 2016. At these evaluation days – the most critical of which will be the scheduled procedures at the world-renowned Gerotek test facility near Pretoria – the COTY Jury will assess the cars independently, with routes and modules designed to test the vehicles in a similar way in which the average consumer would use them. The evaluation days offer the Jury the opportunity to reacquaint themselves with the vehicles on specific aspects including aesthetics, build quality, ergonomics, fuel consumption, environmental friendliness, safety features and value for money. The Jury will also have access to independent performance test data, comparative pricing and specification data, as well as comparative parts pricing data, compiled by the Guild’s digital partner, MAPO. While all of the vehicles that are participating in the event represent examples of outstanding automotive engineering, there can be only one winner. 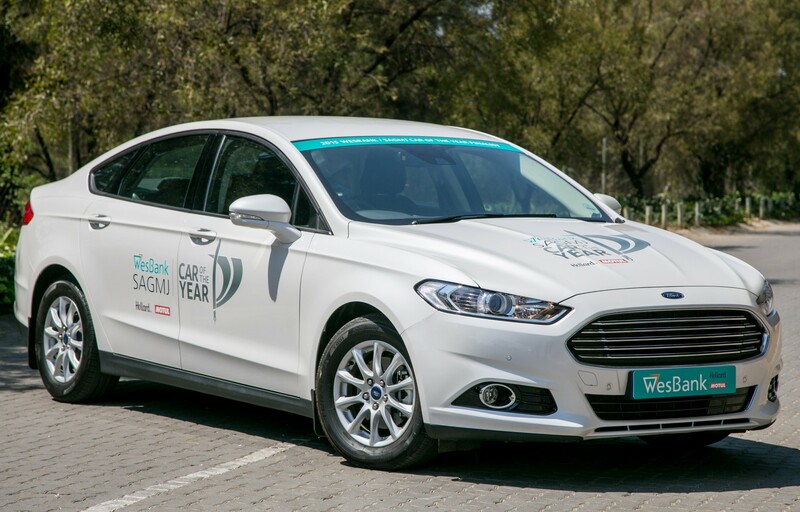 After careful deliberation by the COTY Jury, the vehicle range that best represents automotive excellence when compared to its segment peers, will be crowned the 2016 WesBank / SAGMJ Car of the Year. The winner will be revealed on 8 March 2016. 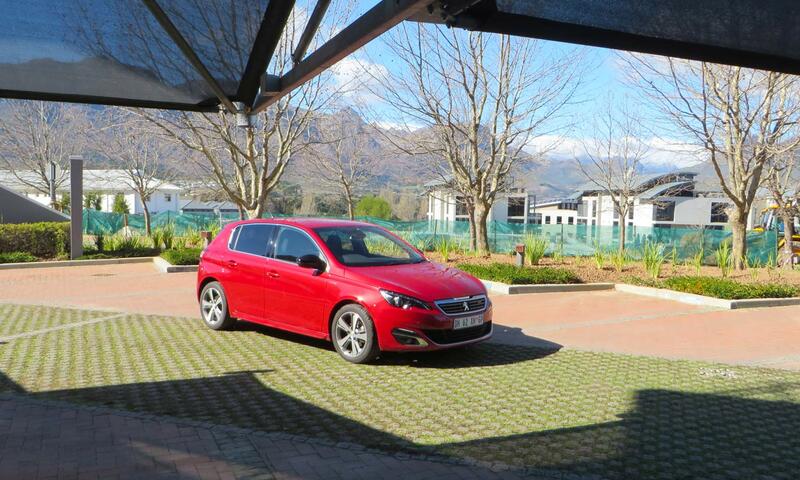 The South African Guild of Motoring Journalists has run the SA Car of the Year competition since 1986, with WesBank – one of South Africa’s largest vehicle finance institutions – as its headline sponsor since inception. 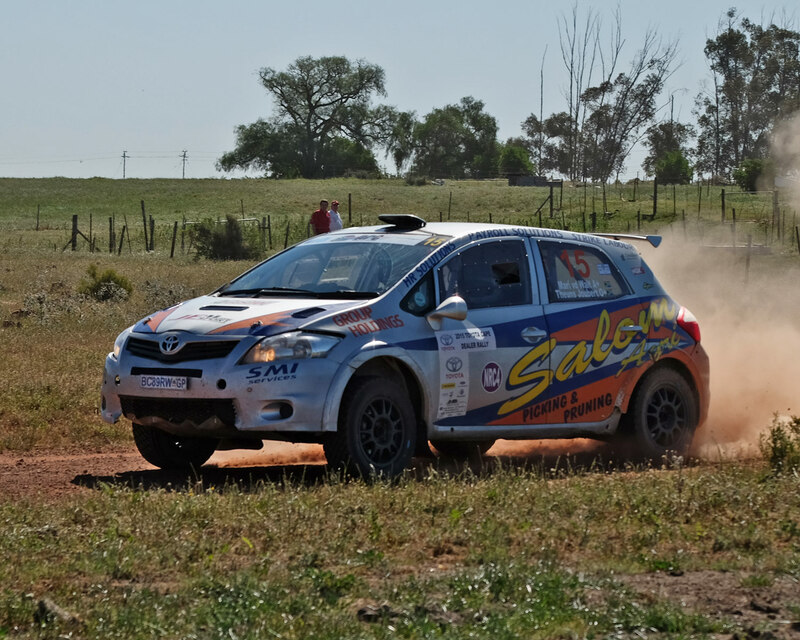 Motul and Hollard Insurance supply support sponsorship. Mark Cronje and new navigator Gerhard Snyman finished the 13th and final stage of the Western Cape event in a time of 1 hour 53 minutes 59.8 seconds to beat Gugu Zulu/Hilton Auffray (Sasolracing Volkswagen Polo) by a 3 minutes 23 seconds. 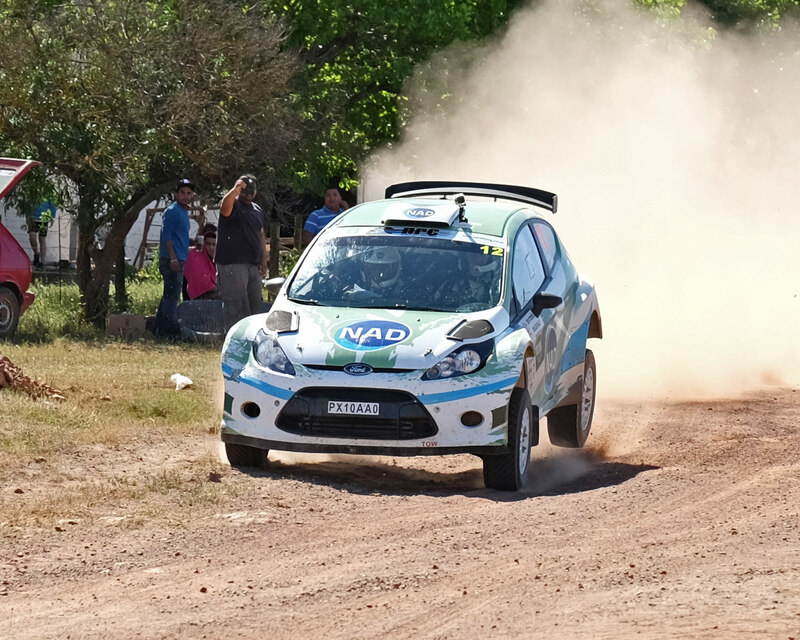 Ford Fiesta flying in the Cape Dealer rally 2015. 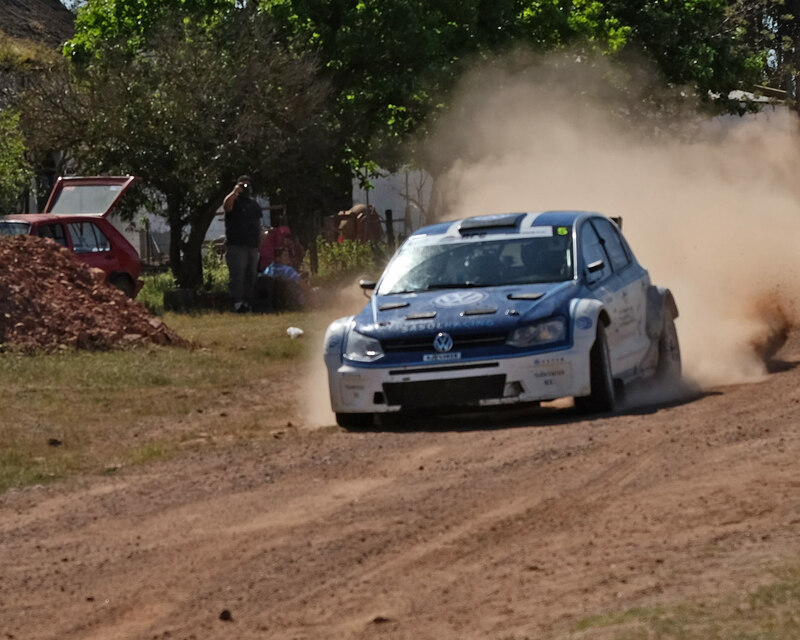 Henk Lategan/Barry White (Sasolracing Volkswagen Polo), won five stages in a row but unfortunately did not finish and could not catch Cronje who was penalised with 20 seconds for hitting a chicane in stage 11. 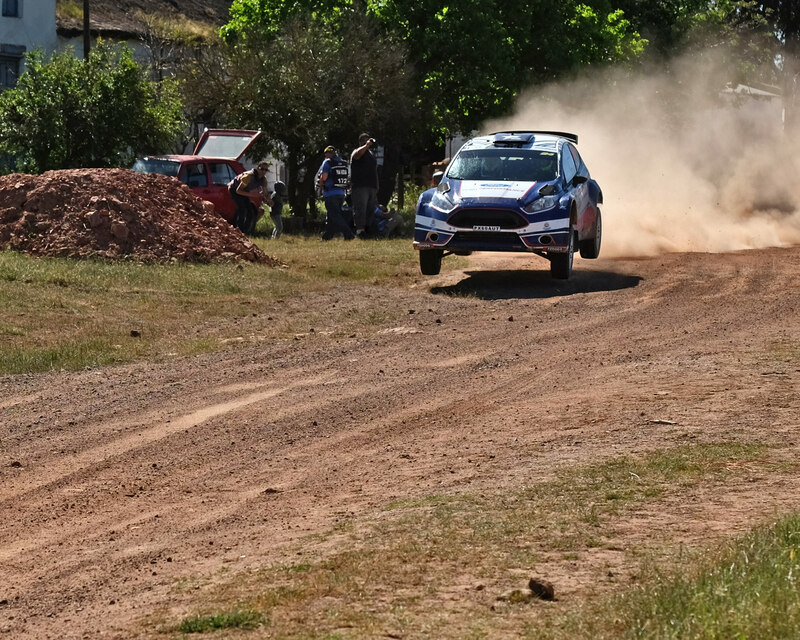 Leeroy Poulter/Elvéne Coetzee (Castrol Team Toyota Yaris) hit a series of jumps at high speed sending them head over heels and ending their rally. The proverbial sting in the tail of the rally saw to the demise of Henk Lategan/Barry White (Sasolracing Volkswagen Polo), the only team to really threaten Cronje and Snyman, in the final stage due to suspension failure. 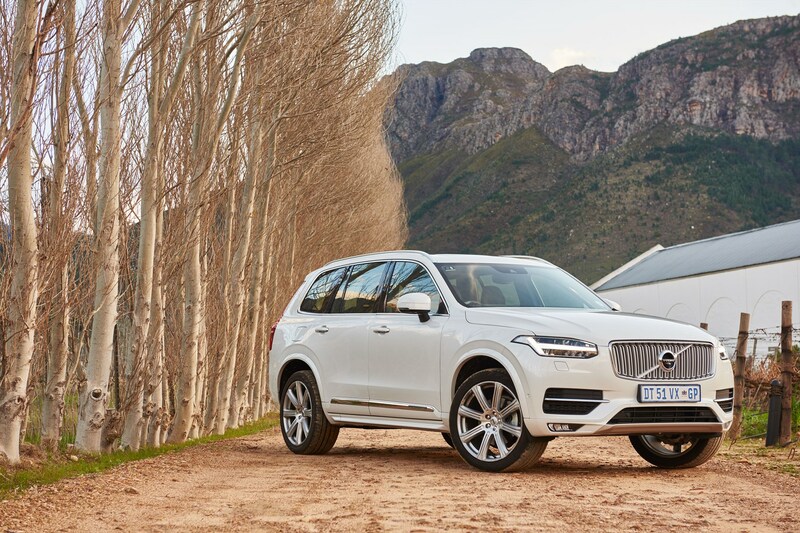 The Volvo XC90 has walked away as the winner in the large SUV category as well as the coveted WOW Overall Car of the Year 2015 of the Women on Wheels award. Thousands of votes were cast by WOW readers and combined with the judges’ votes the winning cars in 11 categories were decided. Together with the reader vote, the judging panel for this year’s awards was Charleen Clarke and Juliet McGuire ; Liana Reiners, editor of Autolive; Vuyi Jabavu, managing director of Driving in Heels; Sukasha Singh, motoring editor at Mail & Guardian; Lindsay Vine of DStv motoring channel Ignition (189); member of the SA Guild of Motoring Journalists since 1987, Peta Lee; and Wheels24 content producer Janine-Lee Gordon. This may just be proof that women drivers are really better than male drivers. I really liked this Beemer. It is not as spacious as some medium MPV’s (or station wagons if you are an old timer) but has more usable space than its ‘bigger’ sister the 3 Series cars. 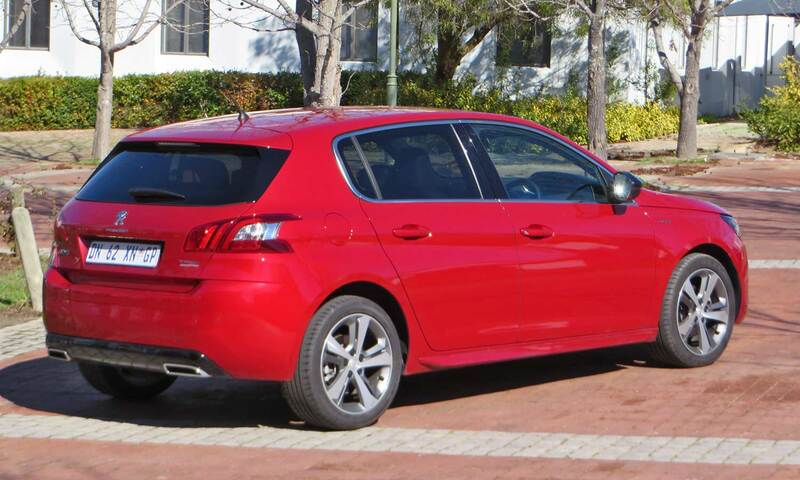 The Tourer has a good practical boot. If you like an X3 but don’t go off tar and don’t like the X3 price tag you will be very happy. Think of it as an X3 without the bling. Think of it too as a smaller BMW with space, especially in the boot. 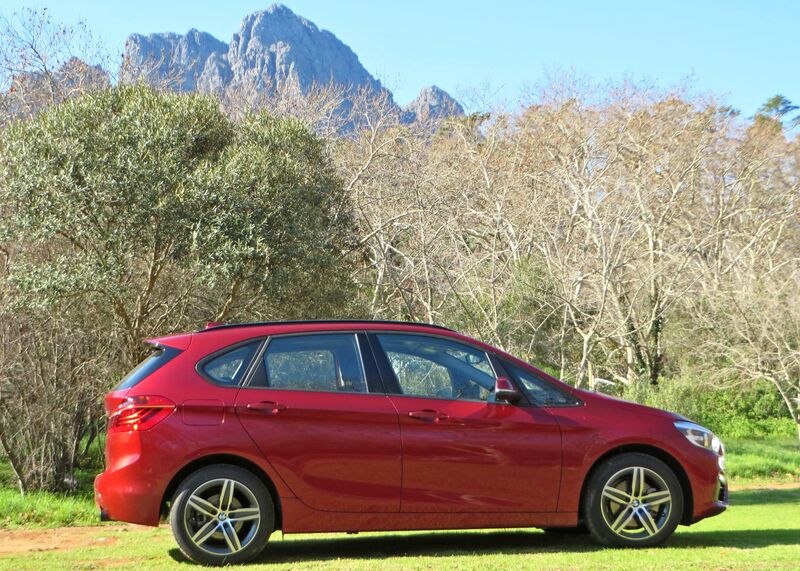 The Tourer has the typical BMW interior, it’s very smart and really well finished. I liked the seats which adjust easily to give a good driving position and have a near perfect seat height to easily get in and out. 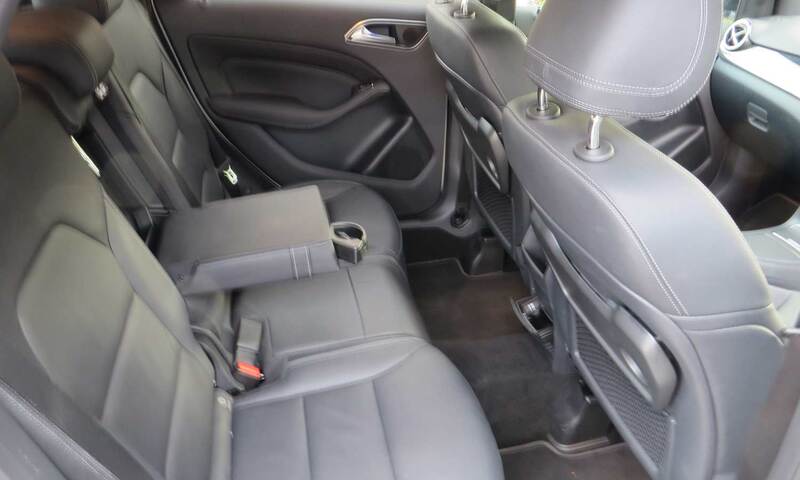 The cabin is a little tight as in all smaller BMW’s with just enough room for the driver, and very little space for your feet. The air conditioner is a full manual unit. No climate control here. It does not quite fit with the rest of the car or the asking price. This front wheel drive BMW has a very smooth gearbox and good handling albeit very different to traditional cars from Munich. I like the looks but some did not. Take the BMW badge off and you may not think it is a BMW from the outside. It is less quirky than some of its siblings. 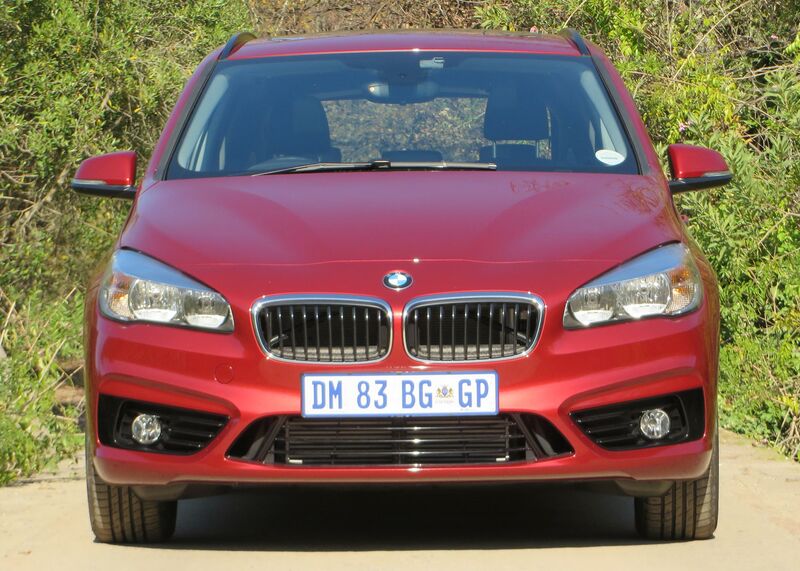 The 2 Series is much more practical and good looking than the very pricey BMW 1 series, to my mind. 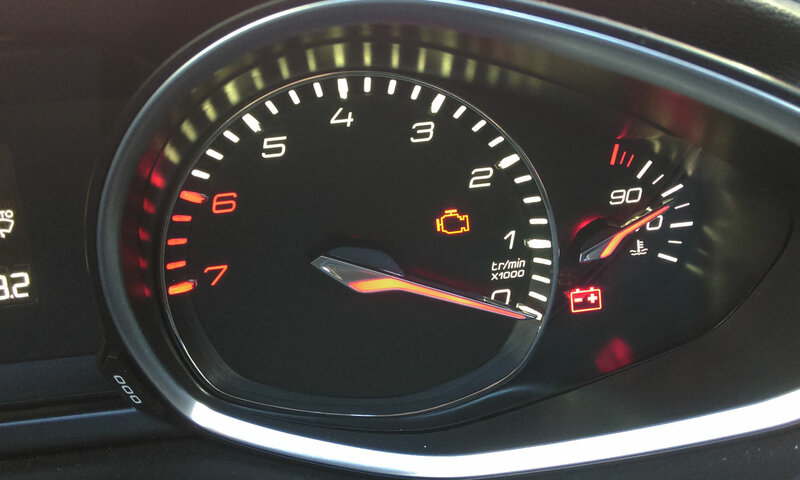 There are three trim levels you can choose from to ‘dolly up’ your car. Sport, Luxury and MSport. 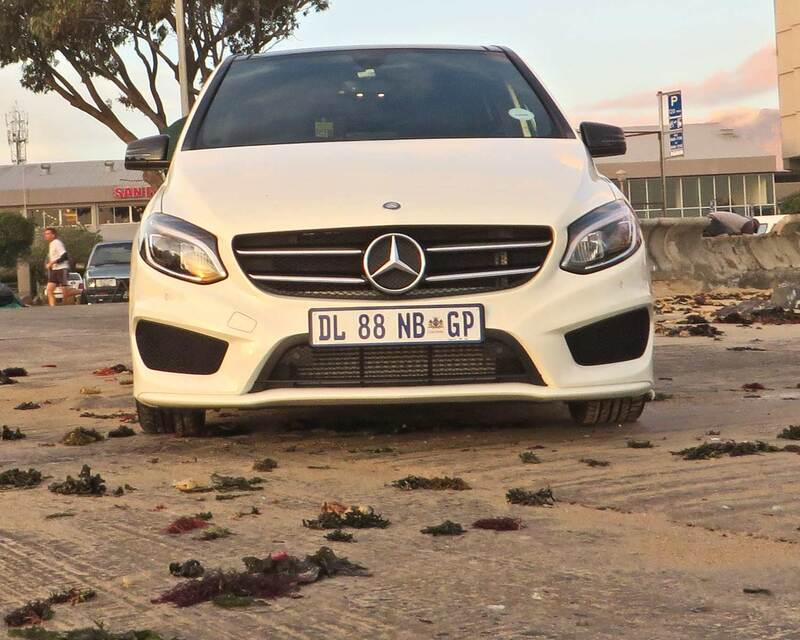 Expect good fuel consumption on all the models and around 6 litres/ 100km for the diesels. 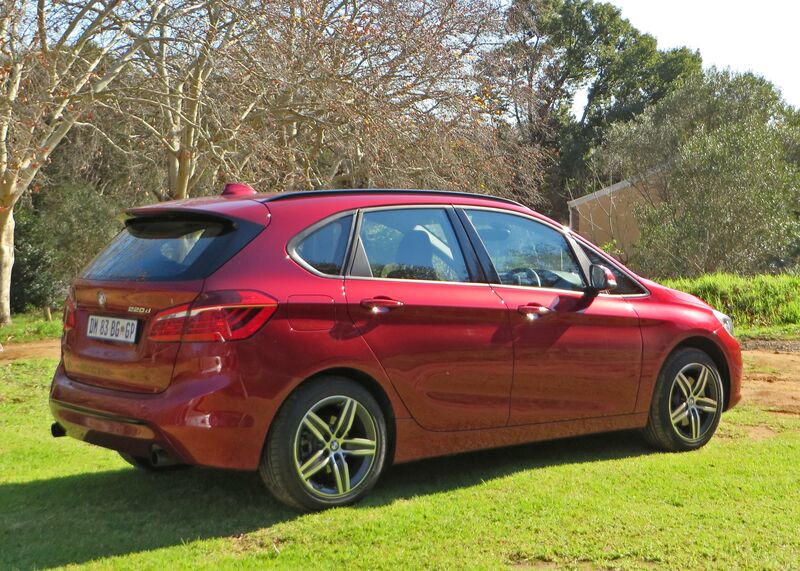 The BMW 2 Series Tourer is in my opinion better value than its 3 Series sisters and has more usable space. It is a bit pricey though when you add in the extras. 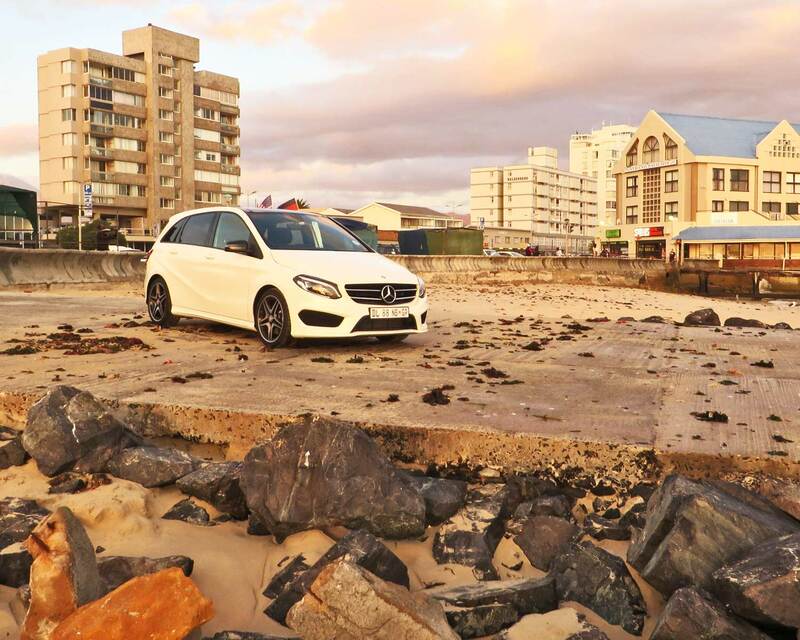 The competition includes the Opel Meriva, Mercedes B Series, VW Golf SV and the Citroën C4 Picasso amongst others. 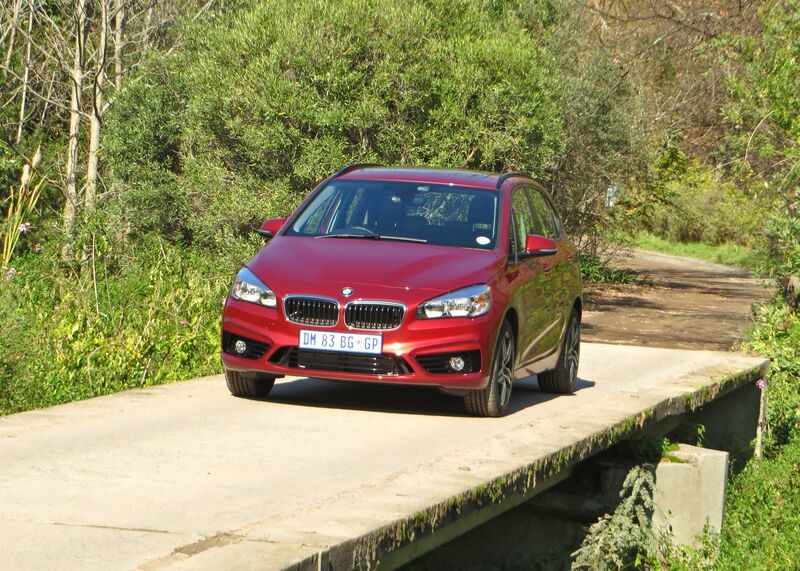 The model we tested, the 220d, costs R446 500 without the extras. 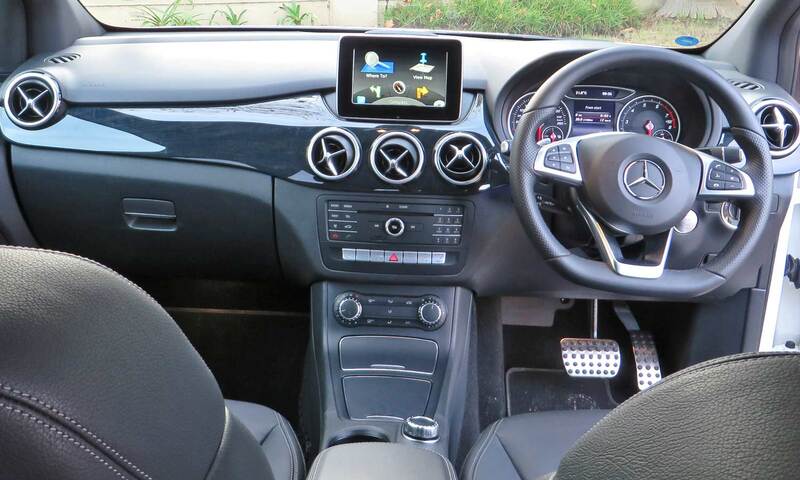 The range starts at R378 000 with the 1.5 manual. Get the full specsheet and pricelist here. The maintenance plan is 5 years or 100 000km.